Are you looking for interesting and attractive first birthday gifts for babies? Well we bring to a sorted guide on the top 10 best first birthday gift ideas for babies in India. The article features a range of unique gifts for kids celebrating their first birthday. Find out about these personalized favors for little kids that can add a beautiful smile to their face. It’s the perfect time to gift a cute set of eating utensils as a special birthday gift on the first year celebrations as it is the time when the baby will learn to eat on his own. To make his meal sessions more vibrant and interesting, gift a special gift set consisting of eating bowl with a mug and spoon. This will motivate the kid to have his meals on his own and enjoy them with greater zeal. Building blocks are the most preferred gifts on the first birthday. Young babies enjoy arranging blocks of different sizes, shapes and colors to create a new figure. This is also very effective in enhancing their learning abilities. Kids enjoy their play sessions with these building blocks which play an important role in learning. This is surely one of the most popular baby gifts in India. Capture the most precious memories of your little toddler in a personalized picture frame. Place the best pictures of his growing days and make it a special gift for the baby which will be a unique gift for the lifetime. Add a personal touch to make it the best gift ever by capturing the first year of his life in a photo frame. This favor will be cherished by him forever. This is surely a great idea to wrap up memories in the most amazing manner. There are amazing sets of baby clothing to be gifted on the first birthday. You can find the most amazing pairs of clothing for young kids and toddlers in India in different price range. From t-shirts to shorts, pajamas, shoes, caps etc. there is a big variety to choose from. 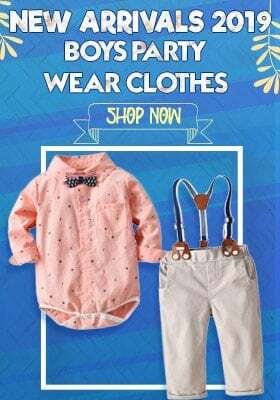 You can create your own assortment or even purchase the combo packs of baby clothes which are available in cute prints and patterns for young boys and girls. Baby shampoos, baby face creams, baby oils etc. from some of the most popular brands in India also work as an attractive first birthday gift idea. You can gift an assortment of baby cosmetics which comes with great utility for toddlers. Indian markets are loaded with the best of the options to choose from. Wrap up healthy skin creams and tender soaps and shampoos for a happy and healthy bathing experience. Wooden puzzles help in the faster growth and thinking ability of a child. This is a beautiful idea for the first birthday gift for a baby. Make learning more interesting and fun for him by letting him enjoy setting the puzzle. There are various colorful puzzles with vegetable, fruits and animals that induce good learning habits. Traditionally, many people think that investments last for life and they do. So gifting savings bond is a unique and special gift idea on the first birthday. These can be used later in life when needed along with greater returns. Depending upon the amount of money you want to invest, you can select the bonds depending upon their interest rates to that more returns can be enjoyed. Books are the best way to make the baby learn. 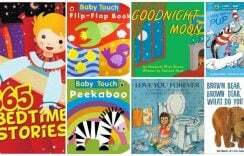 From picture story books to alphabet books and counting books, there is a wide range of books which can work as amazing birthday gift options for babies turning a year old. This is a great way to inculcate learning habits amongst children. Shop for different kinds of picture books for kids in India which will be their first step towards learning. There is a vivacious variety of toys which can be shopped for babies. Kids love to play with toys and Indian markets are loaded with some of the most exciting toys which can bring a smile to their face. You can present an entertaining and attractive piece of toy to the toddlers who are turning one year old and make their birthday more special by gifting them unique toys. You can even go for gender specific toys. You can make the growing years of the baby more fun by gifting him a walker. There are various kinds of walkers in the market which come fitted with small toys which make learning walking more interesting and entertaining for toddlers. This is one of the most thoughtful first birthday gift for the baby. These are some of the most amazing birthday gifts ideas on the very first birthday. Whether you are looking for a present for your baby or you are looking for a favor for someone else’s baby, in both the cases the ideas discussed above turn out to be a big hit.